I understand. I walked it for 12 years raising my two daughters. 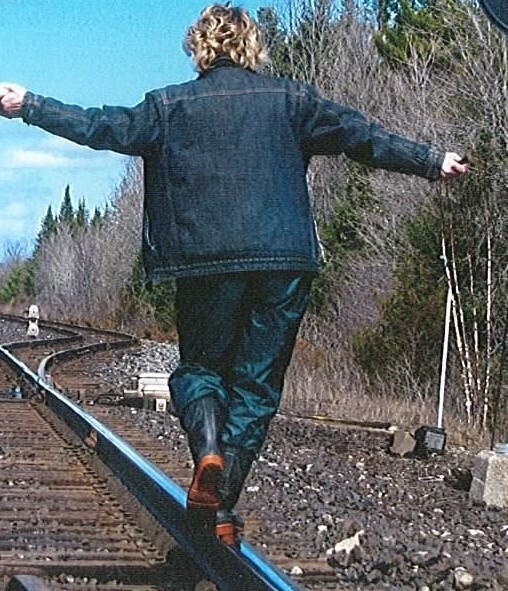 I picture myself on a railroad track trying to keep balance while juggling so many roles as a mother, employer, friend, child of God, and a poor attempt at a handyman looking after the home. Some days were easier to balance life and I rejoiced in even small victories. Other days, I was wobbling along just trying to hold on and keep my balance. One thing for sure, I knew of God’s tight grip on my hand as I kept moving ahead. My determination, through all of this, was that whatever type of day it was, I knew to keep moving ahead. Before me was a new pair of shoes to slip on, tighten up the laces, and move ahead with life experiences to get the shoes worn in. I truly believe YOU CAN DO THIS! This is what my blog, Single Mom Success, is all about. Let me walk beside you and do the happy dance when adventures happen. I will send out a weekly blog for tips and tools for you to open up your Survival Tool Box as a single mom. Because of my passion to help women to be all they can be, I write articles and devotionals for PowerToChange.com, write articles for other devotional books, and am currently writing a book for Single Moms. I spend time mentoring women, and am available for speaking. We all need help along the way!